JEREMY is adorable, great with other dogs and this little guy can go home today! Please SHARE, he's SUCH a cutie he needs a FOSTER or ADOPTER NOW. Thanks! 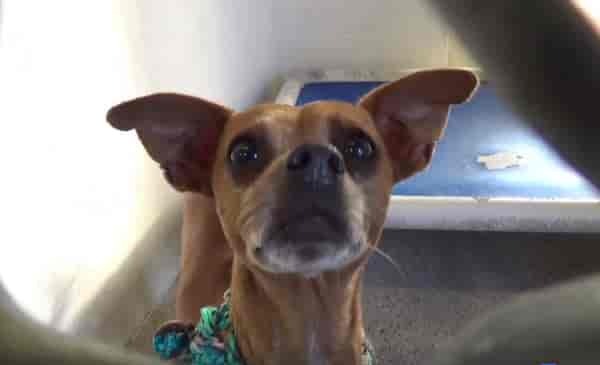 #A5127412 My name is JEREMY and I'm an approximately 3 year old male Chihuahua. I am already neutered. I have been at the Carson Animal Care Center since 11/4. I will be available on 11/8. You can visit me at my temporary home at C226. 1 Response to "No one stop at his kennel, 3 years old little chi is still there begging for us to help him"
Dad is at the Carson shelter now but could use some help in getting connected with a rescue.